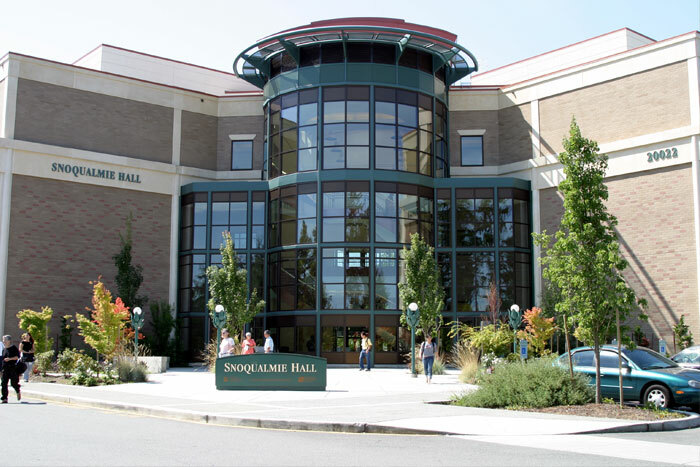 Edmonds Community College is accredited by the Northwest Commission on Colleges and Universities and governed by the Washington State Board of Community and Technical Colleges. With 19 National Science Foundation grants totaling more than $13.5 million over the past 15 years, Edmonds Community College has emerged as a leader in STEM teaching and learning. Flagship programs — including Mathematics, Engineering, Science Achievement (MESA) and Relationships in Science Education (RISE) — use innovative practices to recruit, retrain, and complete a diverse and growing population of STEM students. Active community outreach and on-campus activities expose K-12 students and parents to STEM programs and career opportunities. Orientation programs and a dedicated study room provide students with a place to connect and access academic supports critical to their success. The college partners with local businesses such as The Boeing Co., Giddens Industries, and Crane Aerospace to match its training to employer needs. Students learn about composite materials and engineering technology and prepare for either entry-level positions or transfer into bachelor’s degree programs. Students also gain business skills for manufacturing careers. The college has a well-equipped engineering technology lab and houses the National Resource Center for Materials Education Technology, which provides materials technology curricula nationwide. Edmonds Community College also operates the Washington Aerospace Training and Research Center, offering accelerated, industry-specific, entry-level training in aerospace manufacturing. Edmonds CC’s Innovations in Creating Access to Careers in Health Care program (I-CATCH) gives low-income individuals (those earning less than 200 percent of the federal poverty level) the opportunity to obtain career pathway education and training for healthcare occupations that pay well. The program also provides the local healthcare industry with additional well-trained workers to meet labor shortages and high demand occupations. I-CATCH provides wrap-around case management support and offers financial support.